The ACLU (American Civil Liberties Union) may have one of the largest war chests around, but that doesn’t mean the venerable nonprofit is immune from the lines being drawn in the times of the Trump presidency in America— especially when it comes to internal politics. As Slate writer Mark Joseph Stern recently reported, the organization faces fresh criticism of its backing of a conservative group, and some of the loudest voices are coming from inside the building. The latest discord stems from a National Rifle Association (NRA) suit against New York Governor Andrew Cuomo and the New York State Department of Financial Services (DFS), in which the NRA claims that Cuomo and the DFS’s politically-motivated actions have led to the NRA having trouble banking and buying insurance in the state. Our position in this case has nothing to do with our opinions on the NRA’s policies—it’s about the First Amendment rights of all organizations to engage in political advocacy without fear that the state will use its regulatory authority to penalize them for doing so. Substitute Planned Parenthood or the Communist Party for the NRA, and the point is clear. If Cuomo can do this to the NRA, then conservative governors could have their financial regulators threaten banks and financial institutions that do business with any other group whose political views the governor opposes. The First Amendment bars state officials from using their regulatory power to penalize groups merely because they promote disapproved ideas. The ACLU’s decision promptly provoked criticism inside the organization, according to Slate, and that dissent included an email from the New York Civil Liberties Union urging the national office not to file the brief. The ACLU is frequently asked to explain its defense of certain people or groups—particularly controversial and unpopular entities such as the American Nazis, the Ku Klux Klan, and the Nation of Islam. We do not defend them because we agree with them; rather, we defend their right to free expression and free assembly. Historically, the people whose opinions are the most controversial or extreme are the people whose rights are most often threatened. Once the government has the power to violate one person’s rights, it can use that power against everyone. But, after defending a permit for a violent white supremacist rally in Charlottesville, Virginia, in 2017, the ACLU pledged to more thoroughly review legal requests from hate groups to ensure that future protests wouldn’t include loaded firearms. At the same time, the ACLU has been out in front of progressive groups with its work to spend millions of dollars in new donations on political races and Trump-related legal actions. As Stern points out, the recent internal debate is part of a larger conversation about what civil libertarianism means today. [The] fallout illustrates a fierce dispute within the organization over who deserves its aid during this violent moment in American history, as a resurgence of xenophobia and racism threatens vulnerable people across the country,” he wrote. “The rift is not only a conflict over resource allocation or bad publicity. It is a fight over the true definition of civil libertarianism in the Trump era. 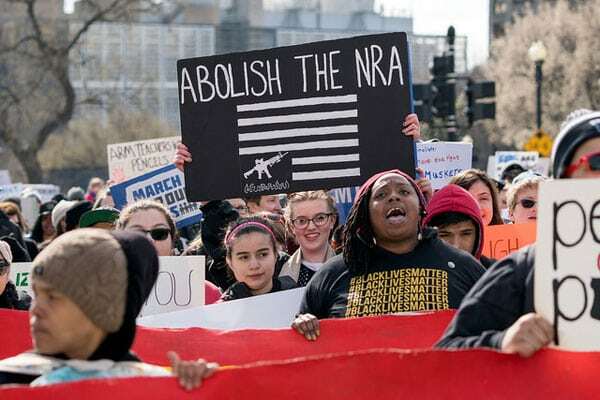 In the fierce backlash to the NRA decision, those who favor standing up for the marginalized—while letting the powerful fight their own battles—seem to be winning. This story also presents a lesson for nonprofits navigating a new world of donor activism and political upheaval. It might be time to reframe your mission within the context of these changes, particularly to ensure your values are consistent and clearly articulated.